Harrison, with his love of books and excessive interest in hugging, couldn’t have been less like Pop, and when it became clear that he was not able to kill anything very well or otherwise make his father happy, he resolved to become everything his father was not: an actor, a Presbyterian, and a doctor of philosophy. But when it was time to settle down and start a family of his own, Harrison started to view his father in a new light, and realized—for better and for worse—how much of his old man he’d absorbed. 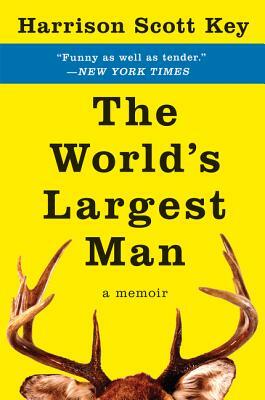 Sly, heartfelt, and tirelessly hilarious, The World’s Largest Man is an unforgettable memoir—the story of a boy’s struggle to reconcile himself with an impossibly outsized role model, a grown man’s reckoning with the father it took him a lifetime to understand.